Given the injuries that have hampered his season to date, Owen Farrell’s inclusion in England’s squad for the Autumn Internationals was, for once, not a foregone conclusion. While Farrell has been confined to just four minutes of rugby in the last month, the competitors for the number 10 jersey – including George Ford, Stephen Myler and the harshly overlooked Danny Cipriani – have been producing some eye-catching displays. Even at his own club, the authority with which rival Charlie Hodgson has been orchestrating and managing the Sarries backline has seen the impact of Farrell’s absence minimised. 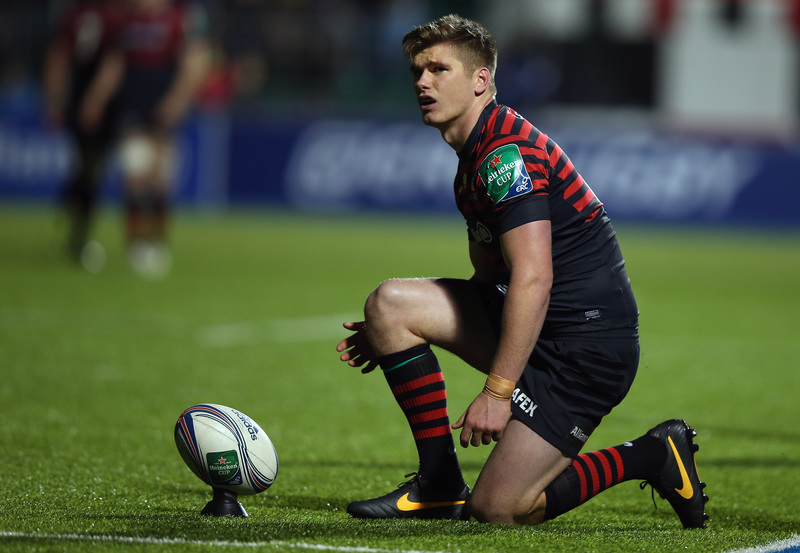 With the 23-year-old starting for Saracens in their Pool 1 clash with Munster this evening, Farrell has an opportunity to stake his claim and send out a statement to his fellow out-half contenders. The cauldron of Thomond Park is a perfect setting for his return, providing a stage to showcase the big-match temperament that has become one of his finest assets. With just two weeks until New Zealand take to the Twickenham turf, time is running out for the Saracens man to prove his fitness. Limerick could yield a timely example of why he is at the fulcrum of Stuart Lancaster’s plans. Northampton and Bath provided some of the Aviva Premiership‘s most rip-roaring entertainment in the opening six rounds of competition. They are the league’s second and third top scoring sides at this point – behind Exeter Chiefs – having amassed a none-too-shabby 46 tries between them. Those statistics counted for nothing last weekend, however, when they both returned from their European travels without a single point to show for their efforts. Bath were comprehensively outplayed by the underrated Glasgow Warriors, while Northampton’s late comeback proved fruitless, as they gifted Racing Metro a try in the dying moments to succumb to a 20-11 defeat in Paris. The two English sides will have home advantage in this weekend’s round two fixtures – Bath host Toulouse, and the Saints welcome the Ospreys to Franklins Gardens. Ahead of those games, it’s likely the players have been reacquainted with one of European rugby’s most regurgitated phrases: ‘win your home games’. It may be an overused cliche, but the importance of home form has regularly proven to be the cornerstone of qualification – just ask Munster or Clermont Auvergne. 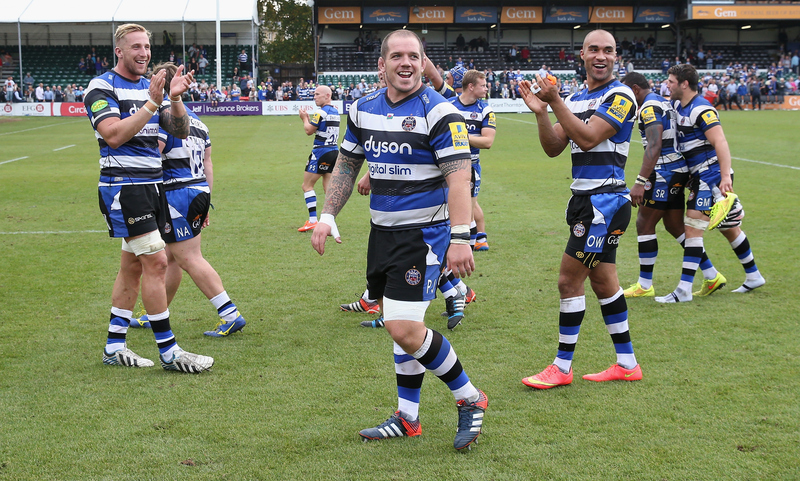 Given the results in the opening round, defeat for either Bath or Northampton tomorrow afternoon would decimate their chances of progression to the quarter-finals. They will have to make the home support count. 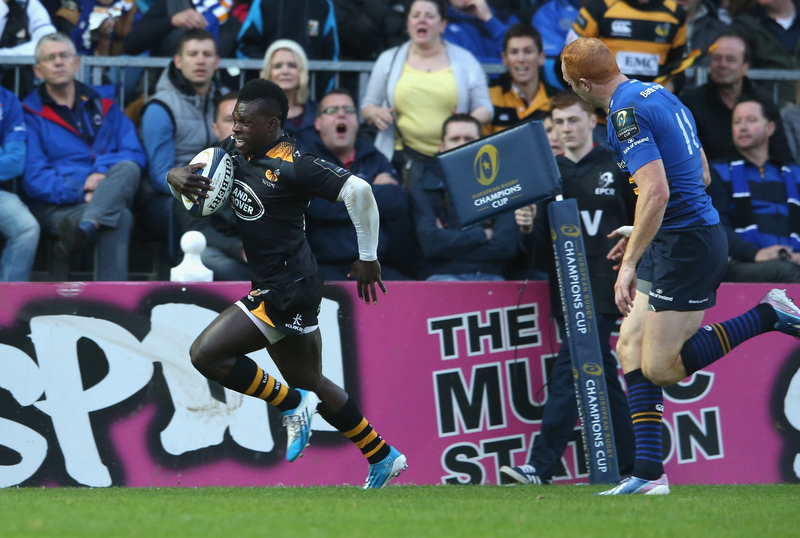 Before last weekend’s match at the RDS, Wasps had endured three consecutive seasons without top-level European competition. Since a forgettable pool-stage exit in 2011, Dai Young’s men have faced the anxiety of a relegation battle and the fallout of an identity crisis, with the recent announcement of them upping sticks to Coventry’s Ricoh Arena. But ahead of their key Pool 2 clash with Harlequins – the final ‘local derby’ between the two clubs – Wasps’ reinstatement at Europe’s top table has sparked a renewed sense of purpose. At the RDS, the two-time European champions provided a spirited performance that suggests they are genuine contenders to top the group. Despite the 25-20 defeat, the English outfit were the better team for much of the first-half, and a moment of individual brilliance from Christian Wade epitomised the danger the Premiership side can pose in the wide channels. Today’s news that England second-row Joe Launchbury has committed his future to the club with a new deal was another fillip. With Saracens rumoured to have been interested in Launchbury’s services, the England star’s willingness to confirm his spot in the centre of the Wasps pack is symbolic of the intent this club has going forward. If you are going to lose a European rugby match then one number takes precedent over all others: seven. Especially away from home, coming within seven points of the victor, and thereby securing a losing bonus point, has repeatedly proven to be an key tool in qualifying for the knockout stages. It is noteworthy, then, that of the 10 matches played in the opening round of the Champions Cup last weekend, half of them were won by seven points or less. Indeed, if we include Northampton’s 20-11 defeat to Racing Metro – given that they were just two points adrift until forfeiting a last-gasp try as they chased the win – then a total of six European games were still undecided until the referee called time. That is a telling statistic that goes to prove the streamlined competition can provide a format where every pool game is a genuinely competitive contest. Munster’s trip to Sale provided the weekend’s best example of this. 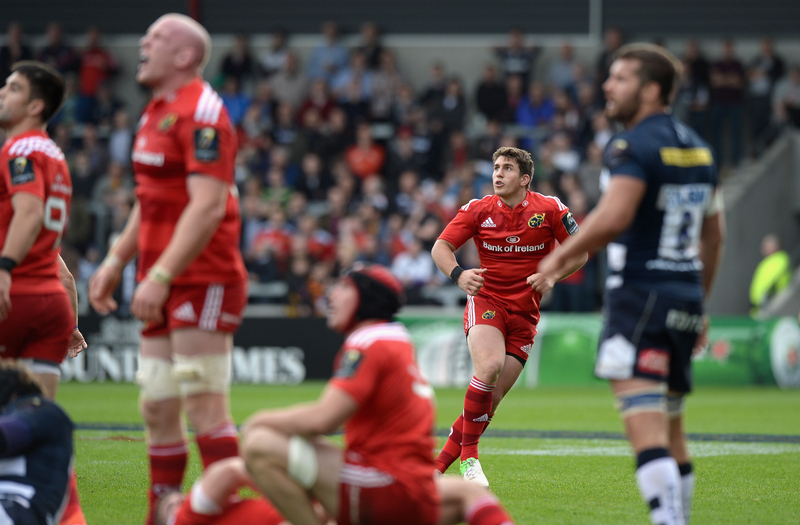 Ian Keatley‘s clinical drop goal with the clock dead felt so stereotypically Munster that it immediately sparked vivid recollections of Ronan O’Gara‘s Heineken Cup heroics – the 40-phase epic against Northampton in 2013 springs to mind. Keatley’s kick was the moment that suggested the Champions Cup, like its predecessor, is not going to skimp on its drama.